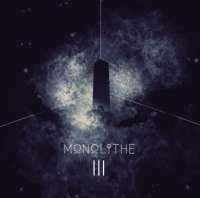 3rd opus of Monolithe Saga released in 2012. 7 years after II which was released in 2005, they restarted their journey! Again, this album contains only 1 song which lasts over 50 minutes. There are a lot of changes in their song and each part are well-arranged to keep listener's attention from start to end. As a doom, it's relatively fast and there are tons of catchy melodies, so I think you don't need to be doomed so much to join their journey! Of course, extreme doom head will enjoy the trip in cosmos with them too!